The brand or in other words the name is determined as the destiny of the company. The company’s name is representative for your business and it helps you to stand prominent among numerous other starts-ups and brands. 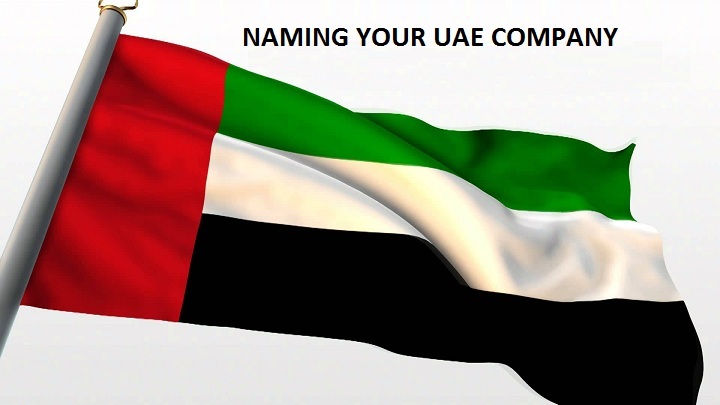 While building a brand, a unique name will not only differentiate you but also will help promote your project among the huge number of participants already present in the market with the same goods.Choosing a company name is the one of the most essential yet the most challenging step in setting up a business in Dubai. Name selection of anything is difficult, whether it is a company, a product item or a child. A certain idea must be displayed in the name, which should be the foundation of your project. The name must be effective as the future income of your company is partially dependent on it. There are certain aspects of choosing a trade name. Your company’s name can be inspired from anything which is the emotional aspect. According to Alexandra Watkins, the chief innovation officer of a San Francisco-based naming company ‘Eat My Words’, in the age of Internet if you have a name that sounds differently than it is spelled, the biggest disadvantage would be that people won’t be able to find you online. If practical considerations are taken into account, you must see to it that the name is memorable. You are definitely at huge loss if the customers can’t remember the brand name. The foreign translations and pronunciations factors also play a key role. The most common pronunciation mishap is quoted of Jeff Bezos, the CEO of Amazon. Before coming up with the name Amazon, for his online bookshop concept was called Cadabra and it changed when someone misheard him, thinking the business was called Cadaver. The name should not indicate any reference to Allah or anything relating to His Divine attributes. If a company’s name is choose to be after the person than the license issued must bear the person’s name either as a company owner or a partner. Family name used as the brand name must include both the first and second name. Use of offensive language is forbidden. The name shouldn’t be indecent while pronounced in Arabic and also to the general public. The name should be written as it is, and should not be translated. The restricted names such as global political organizations, religious sectarian (i.e. FBI, Mafia, etc.) should not be included in the project name. The company name should not start with “International”, “global” and “middle east” etc. Name should not be the same as the government projects or some of the active brand in the Emirate of Dubai. If similar names were found, DED would have the right to change or cancel them. Punctuations shouldn’t be included in the name. The business name should reflect the business activity. The fact is that the name doesn’t make the company great by any means, it is made great by the achievement it gains and the people it has. Although a catchy and search friendly name will add a plus point to your company and will leave a mark on the customers’ mind.